The husband of a US Army soldier killed by an improvised explosive device in Afghanistan was deported to Mexico, leaving behind his 12-year-old daughter in Arizona,the Arizona Republic newspaper reported on Monday. 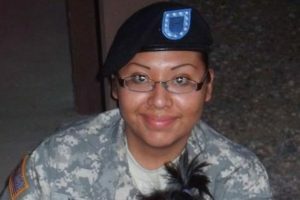 Carranza’s wife, US Army Pfc.Barbara Vieyra, was killed in 2010. The 22-year-old was a member of a military police unit in Afghanistan when they were attacked by RPGs and IEDs. Carranza may have been protected as part of the US Citizenship and Immigration Service’s “Parole in Place”policy.